Guess what day it is??? 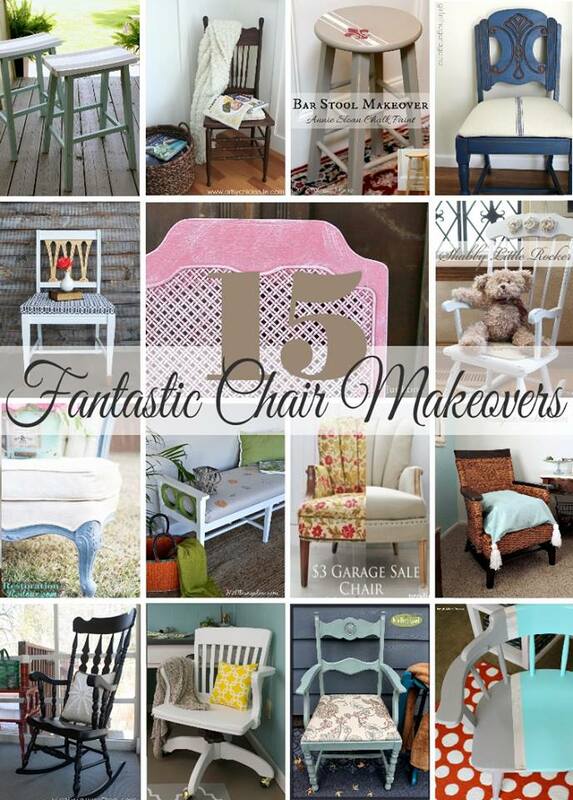 Themed furniture makeover day!! Once a month some of my furniture painting gal pals get together and do themed painted furniture projects. This month's theme? Chairs. 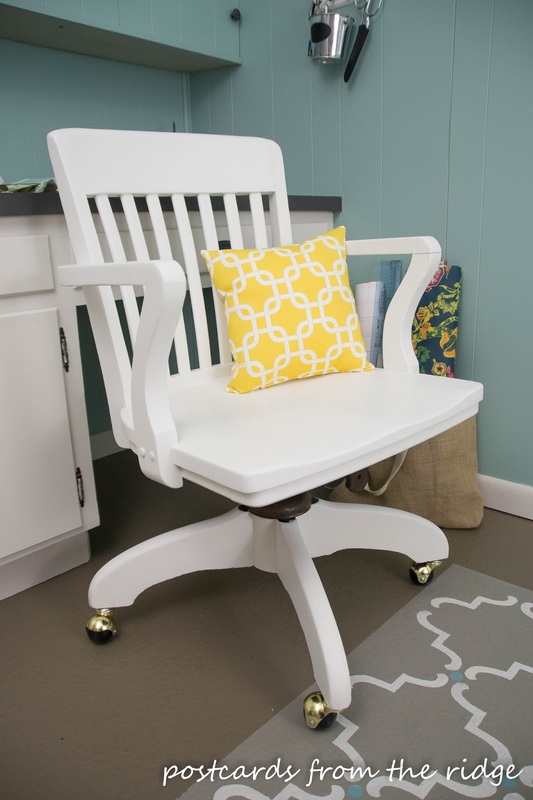 Who doesn't have a chair that needs a facelift? This one was in our garage patiently waiting for me to give it a little makeover. And it's perfect for my studio/craft room. If you've been a reader for a while, you know this room has come a long way in the past few months. You can go here for some organizing tips, go here to see how the counter top got painted, and here to see how the stencilled faux rug project happened. 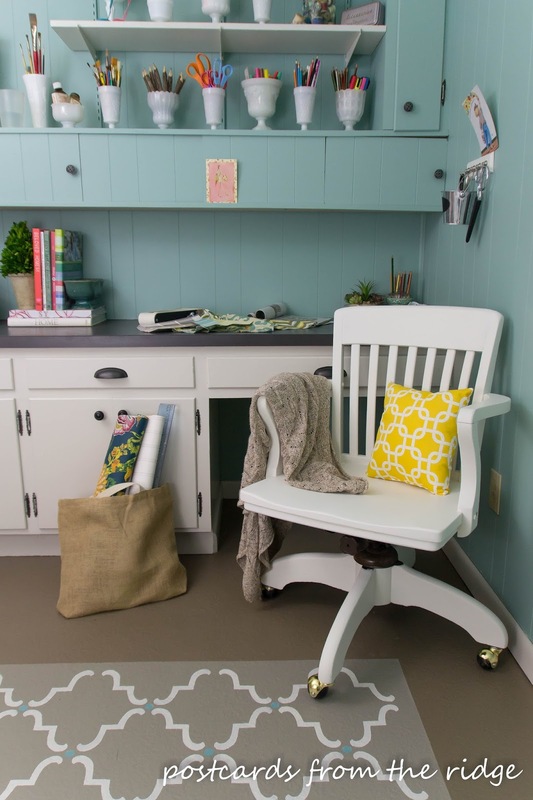 Want to learn how to paint paneling like you see in this room? Go here to learn how to do that. After you're done here scroll down to the bottom of the page and click on the images shown to visit all of the chair projects. 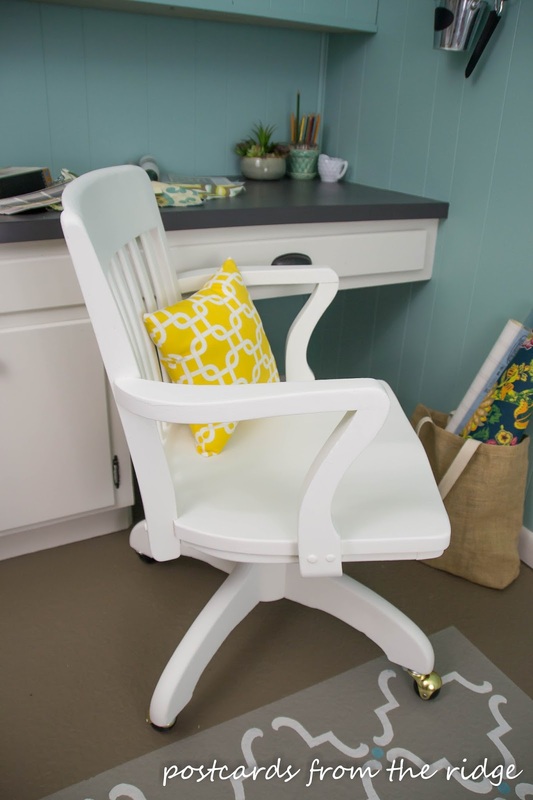 Giving a facelift to a chair can be as simple as a fresh coat of paint. 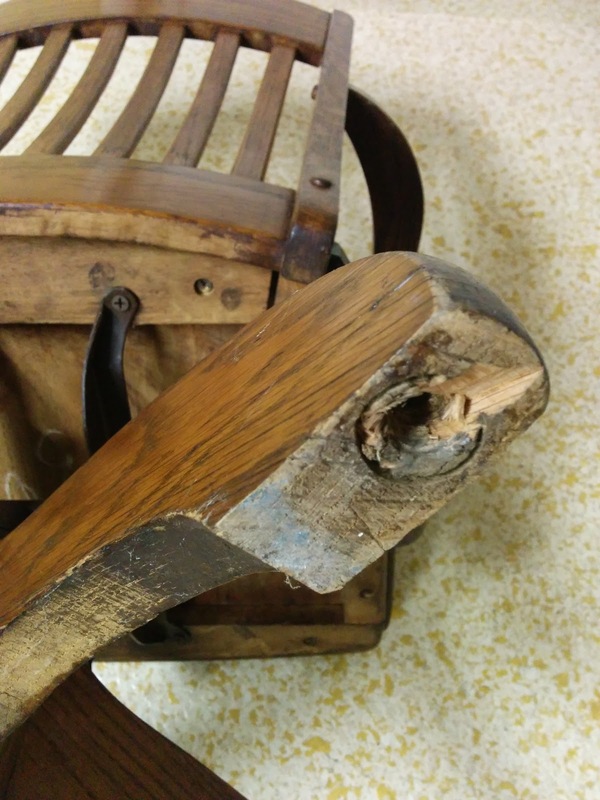 This solid oak chair I found at the thrift shop needed a little more TLC, but it still wasn't all that difficult. 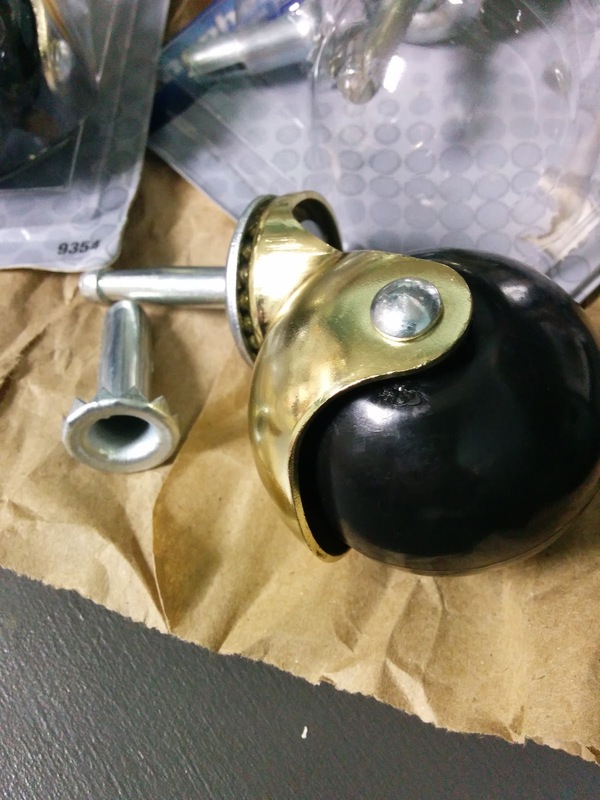 It was missing all of the wheels, and one of the sockets had been removed and left some damage. After two unsuccessful stops, I went to our locally owned hardware store and they had exactly what I was looking for. 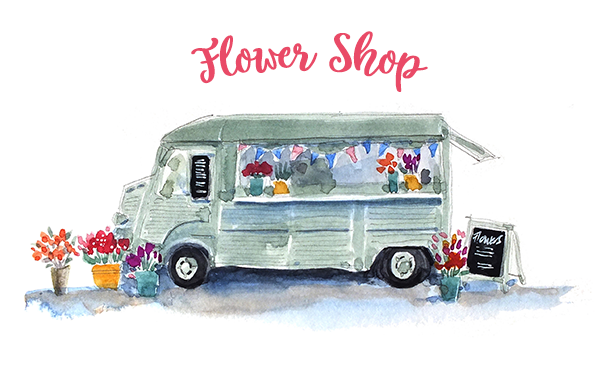 You can also find them here. I hammered the new socket into the hole where the old one had been removed and then inserted the wheels into all four sockets. Easy as pie. After a good cleaning with this cleaner, it got 2 coats of Benjamin Moore White Dove paint, eggshell finish. I had a small pillow form and a yard of a pretty bright yellow fabric so I made a pillow to add a bit of color to it. When I get tired of the yellow, it will be easy to make another small pillow to replace this one. 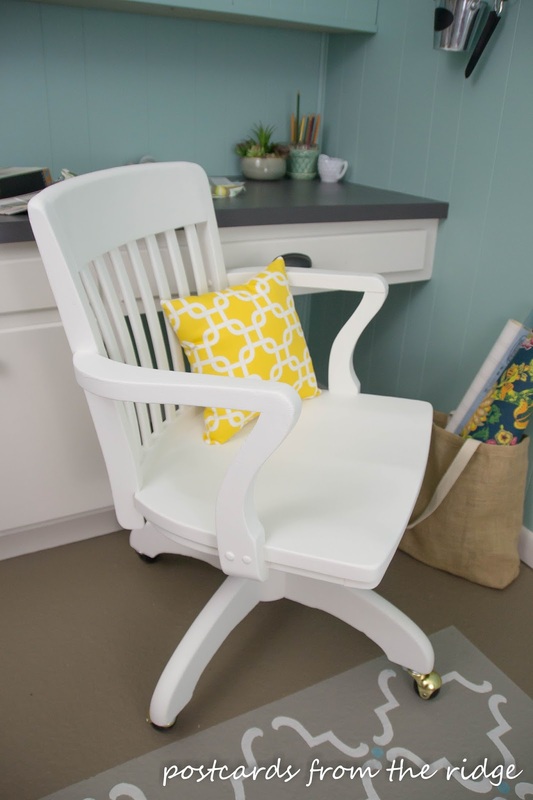 It has great lines and is very sturdy and comfortable too! I've seen ones almost identical to this at Pottery Barn for $429 plus delivery. This one cost less than $50 including all the paint, wheels, and even the pillow and fabric (I got those as swag from Online Fabric Store at the Haven conference). Pretty sweet, huh? And the nice thing about painting it white is that it goes with any color I put with it! 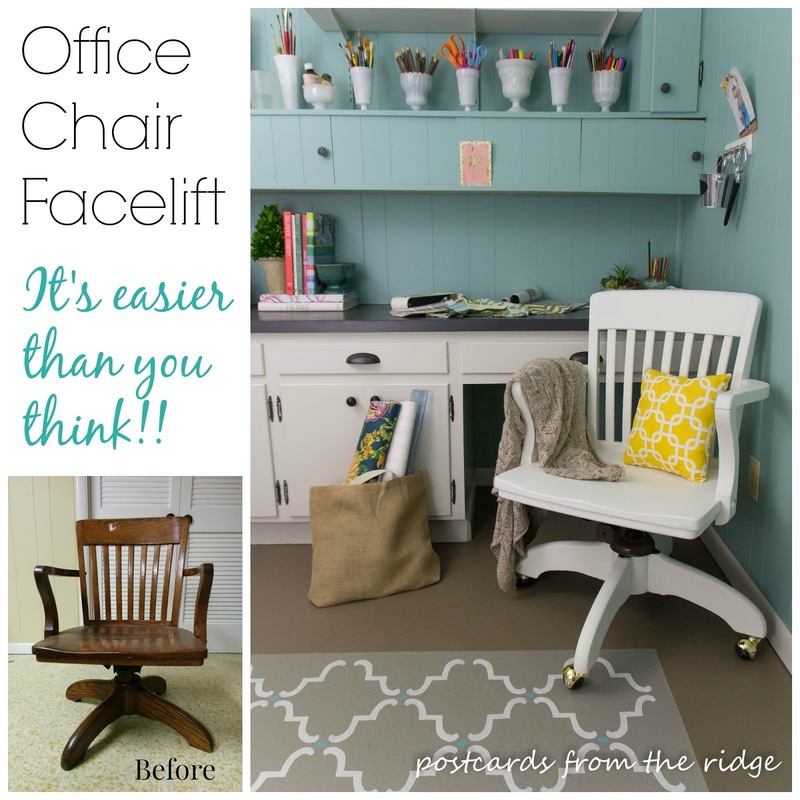 Do you have a chair that could use a facelift? 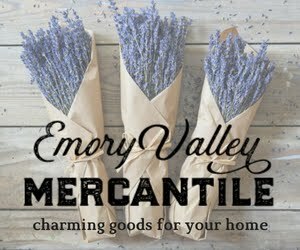 Be sure to drop by and see my friends' projects for inspiration. 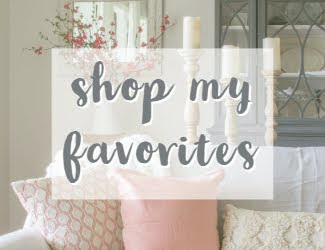 Click on the images below to visit each site. And tell them I sent you! P.S. 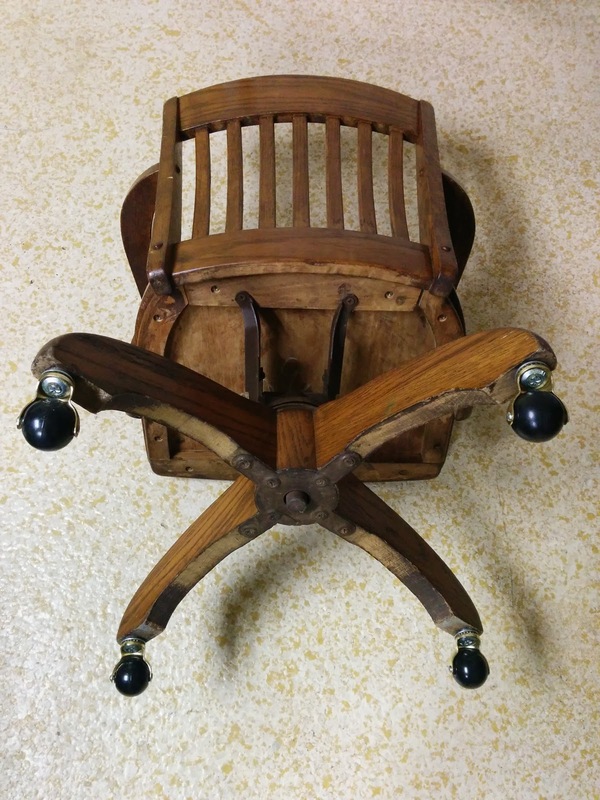 If you like this chair but don't have the time or desire to search for one and redo it yourself, you can find them here or here. 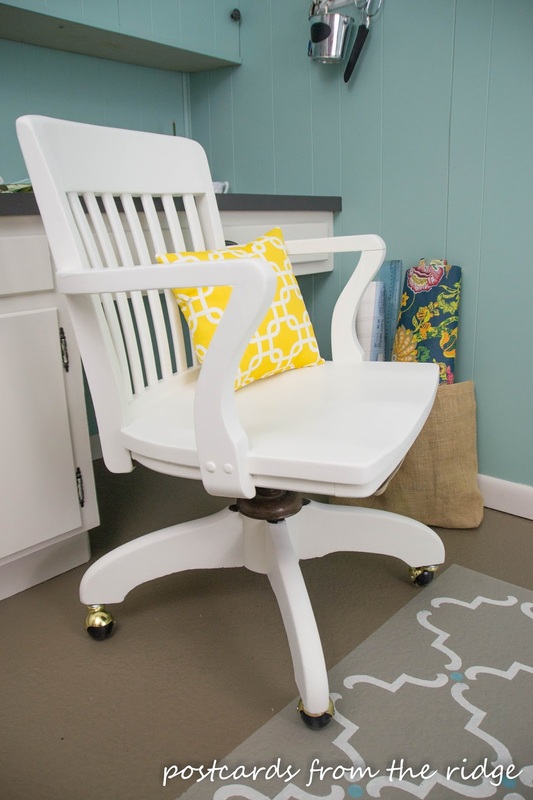 White for your chair coordinates perfectly with your office and it looks more feminine than the original wood tone. 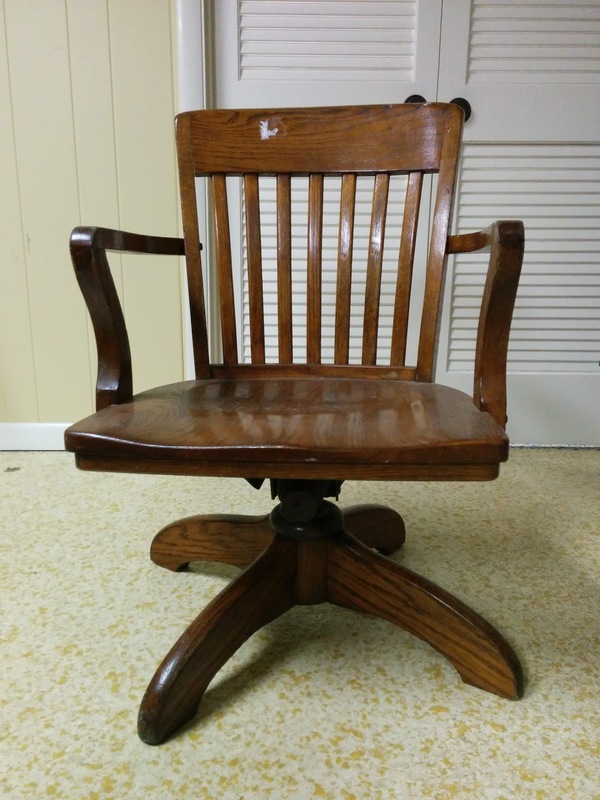 I bought a similar chair from a neighbor last summer and had to replace the wheels just like you did. My chair is so comfortable and is perfect for office work. I hope you enjoy yours as much as I do. Thanks Paula. The white definitely works better for my office. And yes, it's really comfortable and sturdy! Angie, I love the color scheme of your office and that chair adds the perfect touch. Great makeover! Thanks, Debbie. I love it in there too! Love the fresh look of the white! 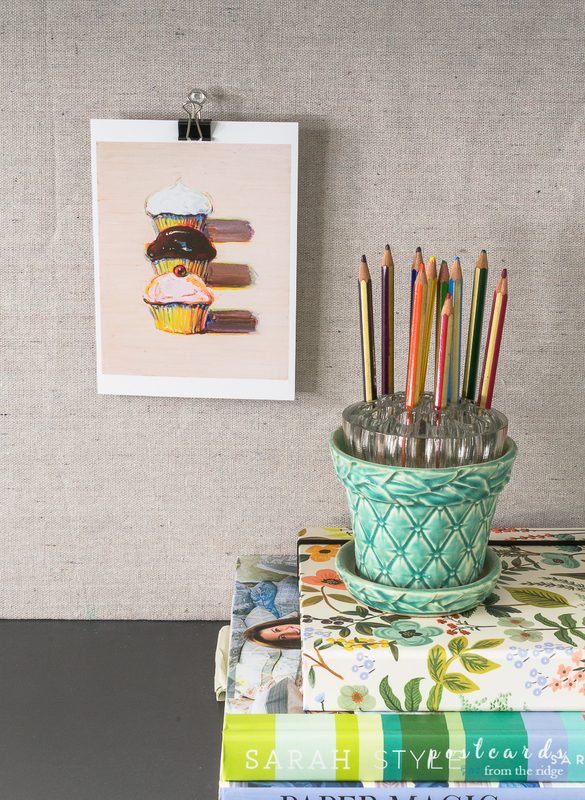 It looks perfect in your office and the pop of yellow is just perfect! Thanks Breanna. I love the white and the pop of yellow too. Beautiful! It reminds me of one I purchased at PB, but yours is even better! I love the colors in your office and the yellow is great! Thanks! I've seen them at PB and loved them for a long time. So glad I found this one. I love the yellow too! Thanks Christy. I love this style too! Love your chair Angie!! You made it beautiful!! What a great find! You really brightened it up and the pillow is a cute accent. Your whole office is so cheerful! Thanks Jen. It's a very colorful, cheerful space that I love to spend time in. I want this Chair! I have always wanted it. I just love how you updated it! Haha! Thanks. I'm so happy with the way it turned out. What a fabulous makeover, Angie. 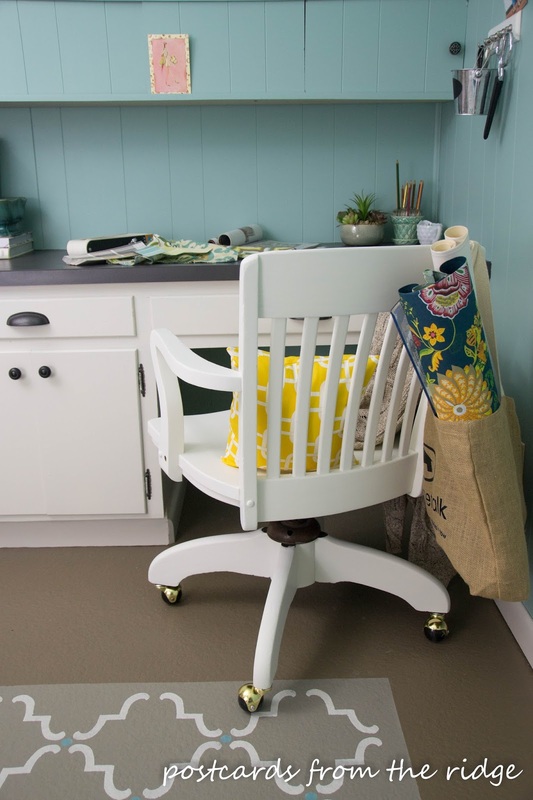 I love the look of the crisp white in your craft room. It is highlighted by your blue walls and yellow pillow. LOVE this. Thanks Meegan. I love the way it all turned out. Thanks Christy. I love having this space to create in. You did give that chair a lift! So much better now. Thanks Kathy. It's much brighter now, for sure! Thanks Wendi. It does brighten the space! Thanks Jeanette! I love small pillows too. They great for my back that's always sore!